Shortly after the world was treated to Thom Yorke’s oddly entrancing dance moves in the video for Radiohead’s new single, “Lotus Flower,” they shocked fans by announcing the imminent release of their new album. The group initially released the album through its website â€“ albeit not via the pay-what-you-want strategy that their previous effort, In Rainbows, had been promoted through â€“ to accumulate hype over a month before its physical release on March 28. They did this all without the help of a major label. So is this a brilliant marketing tactic for the band to attract a more widespread audience, or does their lack of a big-name label hinder the accessibility of their new material to the masses? More importantly, how come the band isn’t taking full financial advantage of their new material by releasing it in stores simultaneously? First of all, Radiohead has already achieved much success over the past two decades by doing things the traditional way. 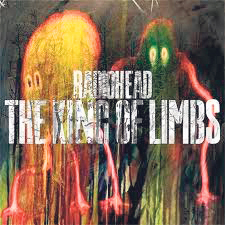 Their prior achievements carry a large enough monetary value that whether or not The King of Limbs goes multi-platinum may not be their biggest concern. Secondly, the album’s digital price of $9 is just under what it would usually be sold for physically – a smart move in an age where record sales are tanking at an alarming rate. With the Internet as today’s primary source of new music, the group’s sales strategies can help it reach the kind of audience that it can no longer attract at one’s local HMV. Of course, that’s not to say they don’t care at all. You could also argue that the digital self-release of both The King of Limbs and In Rainbows is more financially beneficial for them, as more money would find its way into their bank accounts rather than into those of major labels. With such tactics in mind, it’s obvious that Radiohead has chosen how they want to go about distributing their music, and they have already found a surprising degree of success as a result. But at the end of the day, Radiohead has been successful enough at this stage in their career that it barely matters how many people buy the record, rather how many people they reach.